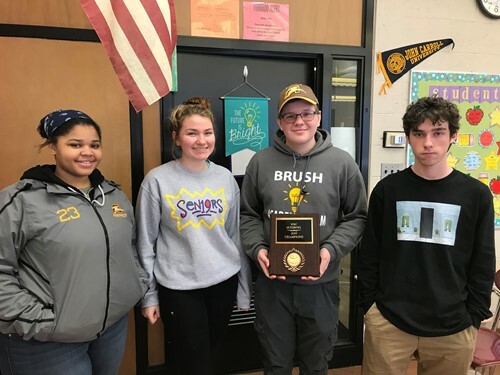 On February 2nd, The Brush Academic Team brought home the Championship Trophy from the Western Reserve Conference Tournament hosted by Eastlake-North High School. Congratulations to Owen Seddon, Rebecca Rossi, Kourtney Williams and Isaac Alexander! A special recognition for Owen Seddon who also finished first place in overall points scored per game. Owen earned more than double the second place finisher! We are very proud of our Academic Team members!! !